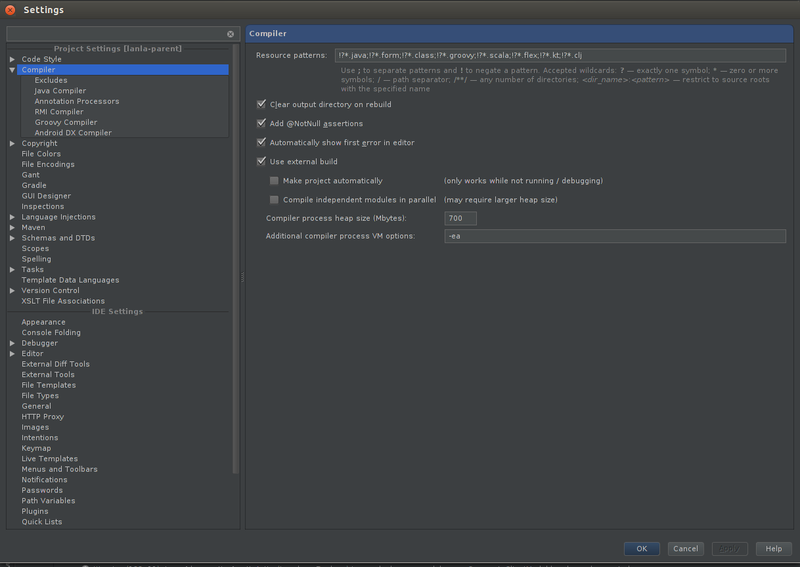 Im using intellij 12.0.4 (community) and i try EAP 12.1, i got the same wrong behavior. target/test-classes folder contains the compilation of the src/test/java and src/it/java, and only the files in src/test/resources. Im missing all the files (xml, properties) in the src/it/resources directory. The content of the folder src/it/resources is never copy in the target/test-classes folder. PS: if i declared only one folder (src/it/resources) as test folder it doesnt work either. I dont want to put the files in src/test/resources. I google and search everywhere i found nothing, it is a bug ??? Please check your compiler resources patterns at 'project settings | compiler' and ensure there is no excludes for the target file types. Please provide a sample project which illustrates the problem if compiler resources setup is ok.
Um aren't your XML files under target/test-classes as you've set this as the output folder for tests? 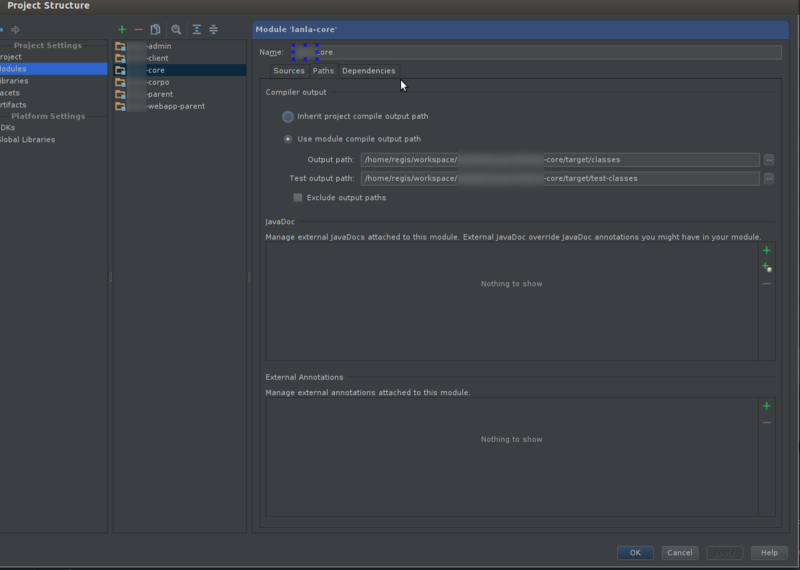 I ran into some funky behavior in Intellij where I had to toggle the sources and Test Sources directories. 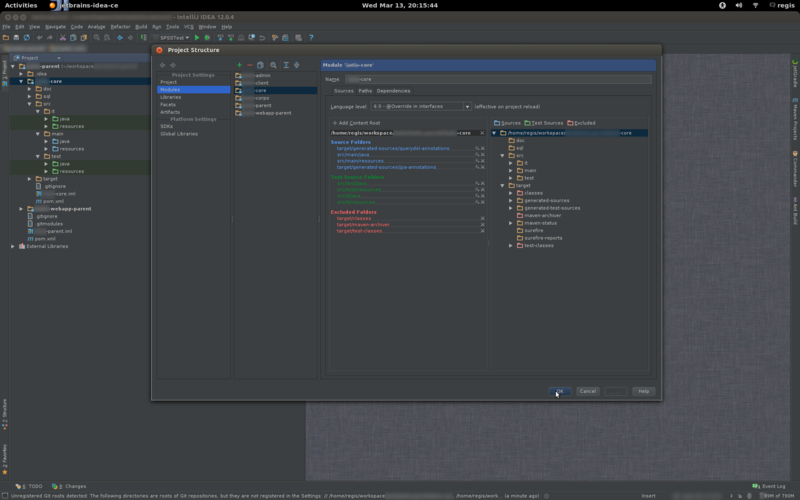 For example, when I imported a maven project Intellij, for some reason didn't recognize my package structure and dispalyed it as one large line. A "fix" that worked for me was to go into the Project Structure dialog and sources tab and manually toggle the /src/test/java and /src/test/resources directories. Make sure /src/test/java dispalys green and /src/man/java displays blue. This may not work for you,but it's worth a shot. Reproduced the problem locally. You can use in-process compiler as a workaround. Meanwhile I forwarded the question to responsible person.